Unique dual-amplifier design compensates for cell signal that is lost over long lengths of coaxial cable to ensure strong cellular service and boost company productivity. ST GEORGE, UT – May 8, 2017 – WilsonPro, a leader in enterprise cellular connectivity, announced today the availability of the WilsonPro 1050. The Pro 1050 is the industry’s first Federal Communications Commission (FCC) and wireless carrier-approved “inline” cellular booster system. The Pro 1050 is the only passive distributed antenna system (DAS) with a unique dual-amplifier design to compensate for cell signal that is lost over long lengths of cable, ensuring that businesses have strong cell service throughout their entire building at all times. The Pro 1050 amplifies weak cell signal to provide reliable voice and data coverage, including 4G LTE, in any large commercial space such as hotels, hospitals, retail spaces, large residential buildings and event venues. Typically, as cell signal moves over long lengths of coaxial cable, some of the signal is lost, reducing overall booster system performance. As a result, people can experience spotty or inconsistent cell signal depending on their location in the space, which can result in decreased or stalled work productivity, lowered customer satisfaction or even a lost customer. The Pro 1050 solves this issue by using a dual-amplifier system, which consists of a main amplifier and a supplementary inline amplifier. Working together, the two amplifiers determine the actual signal that is lost along the cable run and boost the signal accordingly to compensate for up to 300 feet of cable. 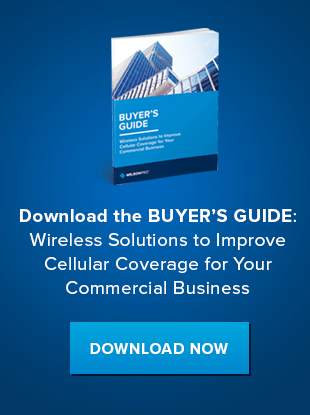 The enhanced signal results in cell service that is up to 32 times stronger, increased data speeds and fewer missed or dropped calls, which is crucial for the many companies that rely heavily on strong cell signal to effectively run their businesses. The Pro 1050’s self-optimizing design makes it quick and easy to install unlike active DAS, which can take years to implement. The Pro 1050 works with all North American cellular networks, simultaneously boosting all carrier signals at the same time. The Pro 1050 features eXtended Dynamic Range (XDR) technology and will never overpower and shut down, no matter how strong the outside cellular signals are. 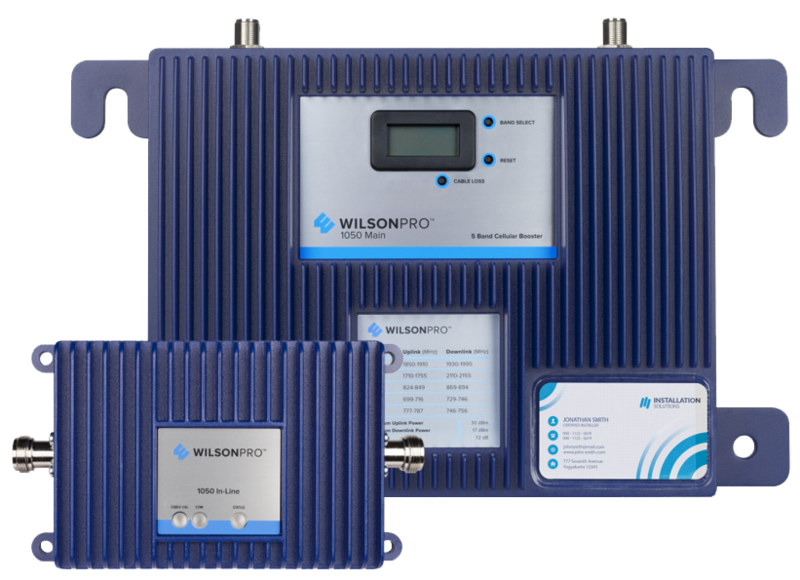 Like all WilsonPro cellular signal boosters, the Pro 1050 features cell site protections that detect and prevent any cell tower interference and its best-in-class warranty protects the product for three years. The Pro 1050 is available for purchase through WilsonPro distributors and dealers at wilsonpro.com. Wilson Electronics, LLC, home of WilsonPro, weBoost, and zBoost, is a leader in wireless communications infrastructure, dedicated to delivering connectivity to every corner of people's’ lives. The company has designed and manufactured cell phone signal boosters, antennas and related components for more than 20 years. Each booster is designed to significantly improve cellular coverage in homes, workplaces or vehicles. All Wilson Electronics products are designed, assembled and tested in the U.S.A. For more information, visit www.wilsonpro.com.